Festival Director, Avril Stanley, has repeated her invitation to young (and not so young!) 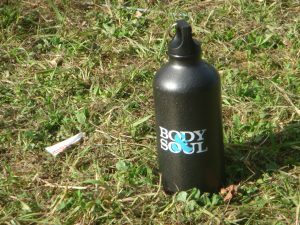 people in the local area to volunteer at Body&Soul this June. In return for a commitment of 18 hours, you will receive a weekend ticket, experience the workings of one of Irelan’d best festivals AND avail of some exclusive perks. Site Setup volunteers are crucial to Body&Soul in the week prior to the festival. They help set up tents, water systems, signs, laying out exhibitor areas, managing deliveries and clearing walkways, ensuring the site is ready for opening day. Site Strike volunteers are responsible for breaking down the festival. These volunteer’s take their time carefully dismantling the festival structure in order to make the impact on the environment as low as possible and ensuring the festival can be easily resurrected in 2020!